Istanbul is the largest city in Turkey. It is located on the Bosphorus strait, and includes parts on both the European side (Thrace) and the Asian side (Anatolia) - making it the only city in the world that contains parts in two different continents. As of 2007, Istanbul had an estimated population of 11,008,790. Istanbul has a very long history and has been known during its existence by a variety of different names (some of which are still in use in some parts of the world) including "Byzantium", "Constantinople", "Tsarigrad" and "Stamboul", although since 1930, the Turkish authorities have requested foreigners to refer to the city as "Istanbul", including in their own languages. In fact, if you were to send a letter to the city using any name other than "Istanbul", you will find that the Turkish postal service will refuse to deliver the letter! The current city was founded in 324, on the site of the ancient Greek city of Byzantium, by the Roman Emperor Constantine the Great, and intended to become the new capital of the Roman Empire. The city was initially called "Nova Roma" (New Rome), but after Constantine's death in 337 it was renamed "Constantinople" (city of Constantine). The city was the capital of the Eastern Roman Empire, and later the Byzantine Empire (except for the period from 1204 to 1261, when it was ruled by Western European crusaders as the capital of the Latin Empire of Constantinople). The city remained the capital of the Byzantine Empire until it was conquered by the Ottoman Turks in 1453 - the city then became the capital of Ottoman Empire, and remained so until the end of the Ottoman Empire in 1922. Following Rick's self-guided tours, you'll experience the wonders of East and West in this fascinating city—the capital of two great empires. Explore one of the world's largest domed churches, haggle with merchants in the lively Grand Bazaar, and discover the secrets of the sultan's harem in Topkapi Palace. Wander through monumental mosques, shop along sophisticated avenues, and watch whirling dervishes in action. Cruise the Bosphorus for a quick trip to Asia, and end the day relaxing in a Turkish bath. Rick's candid, humorous advice will guide you to good-value hotels and restaurants in delightful neighborhoods. You'll learn how to get around on the city's trams and ferries, and which sights are worth your time and money. More than just reviews and directions, a Rick Steves guidebook is a tour guide in your pocket. The Perfect Choice: Lonely Planet Istanbul, our most comprehensive guide to Istanbul, is perfect for both exploring top sights and taking roads less travelled. Looking for just the highlights of Istanbul? Check out Pocket Istanbul, a handy-sized guide focused on the can't-miss sights for a quick trip. DK Eyewitness Travel Guide: Istanbul will lead you straight to the best attractions this city has to offer. Explore the must-see Hagia Sophia, take in the beauty of the Sultan Ahmed Mosque, and don't miss out on the incredible street food. Discover DK Eyewitness Travel Guide: Istanbul. With hundreds of full-color photographs, hand-drawn illustrations, and custom maps that illuminate every page, DK Eyewitness Travel Guide: Istanbul truly shows you this city as no one else can. Recommended: For a pocket guidebook to Istanbul, check out DK Eyewitness Travel Guide: Top 10 Istanbul, which is packed with dozens of top 10 lists, ensuring you make the most of your time in the city. Newly revised, updated, and redesigned for 2016. True to its name, DK Eyewitness Travel Guide: Top 10 Istanbul covers all the city's major sights and attractions in easy-to-use "top 10" lists that help you plan the vacation that's right for you. This newly updated pocket travel guide for Istanbul will lead you straight to the best attractions the city has to offer, whether you want to explore fascinating museums and historic mosques and churches or the best bazaars and shopping areas. Expert travel writers have fully revised this edition of DK Eyewitness Travel Guide: Top 10 Istanbul. • Brand-new itineraries help you plan your trip to Istanbul. You'll still find DK's famous full-color photography and museum floor plans, along with just the right amount of coverage of the city's history and culture. A free pull-out city map is marked with sights from the guidebook and includes a street index and a metro map. The perfect pocket-size travel companion: DK Eyewitness Travel Guide: Top 10 Istanbul. Lonely Planet Pocket Istanbul is your passport to the most relevant, up-to-date advice on what to see and skip, and what hidden discoveries await you. Soak up the atmosphere of the Grand Bazaar; see stunning mosaic portraits in Aya Sofya; or take a ferry down Bosphorus strait; all with your trusted travel companion. Get to the heart of the best of Istanbul and begin your journey now! The Perfect Choice: Lonely Planet Pocket Istanbul, a colorful, easy-to-use, and handy guide that literally fits in your pocket, provides on-the-go assistance for those seeking only the can't-miss experiences to maximize a quick trip experience. Looking for a comprehensive guide that recommends both popular and offbeat experiences, and extensively covers all of Istanbul's neighbourhoods? 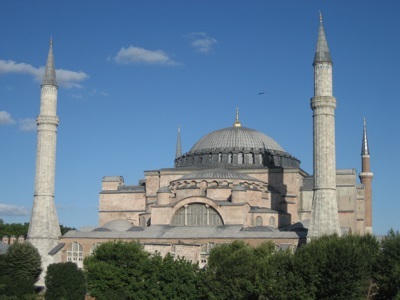 Check out Lonely Planet Istanbul guide. We have been in your shoes! We wanted to visit Istanbul and got lost into spending tens of hours looking for valid information at Lonely Planet, TripAdvisor and on the Internet. And then, we couldn't put it all together, in order to create a perfect plan for visiting Istanbul in 3 Days. That's why Guidora is the only publishing house building Travel Guides like no other does. We provide exact 72 hour plans with only one and best choice on where to stay, what to eat, what to see. It's an easy travel path that you just follow and spend the 3 best days of your life in Istanbul! So, if you are Wondering What to Do in 3 Days in Istanbul and What are the Best Things to See, Look no further! We have built an excellent 72 hours plan for Istanbul, with information on what to do every hour of the day. All the information provided is by local experts and travel bloggers, who have been living in Istanbul, or travelling there often enough to know the best that the city has to offer. - Exact information on what is the best hotel to stay in Istanbul, so that you are in the epicenter of all activities without breaking the bank. - Where to eat, what are the best restaurants that locals go to. - What dishes to try. Stop wasting time searching for information on the internet and travel sites. This guide will provide you with all the information you need but most importantly, with a perfect plan to follow. It's like having your best friend in Istanbul, showing you around. It will eliminate stress from planning, help you save time and money and help you enjoy the best days of your life in the magnificent Istanbul! Guidora's Istanbul in 3 Days Travel Guide, is your entry ticket to the most accurate advice on what are the best things to do in Istanbul in 72 hours. It includes a detailed 72 hour plan from the first moment you will arrive in the airport of Istanbul, until the moment you leave this amazing town. Information in this Istanbul travel guide is up-to-date as of 2019. About Guidora: Guidora is a startup that solves the problem of "What exactly to do in a destination in +72 hours", by providing well-researched travel itineraries, written by local experts and local guides. Guidora operates an online travel itinerary marketplace at http://www.guidora.com and holds a popular blog on travel related subjects. See the best of Istanbul with this streamlined walking guide, complete with step-by-step itineraries and maps to help you explore the city like a pro and navigate like a local. Created in a handy, take-along format, this guide, written by a seasoned travel writer, conjures the spirit of the place in elegant text enhanced stunning photography. More than just a guidebook, Walking Istanbul is full of information about the city and its people. Istanbul (Turkish: İstanbul) is Turkey's most populous city as well as its cultural and financial hub. Located on both sides of the Bosphorus, the narrow strait between the Black Sea and the Marmara Sea, Istanbul bridges Asia and Europe both physically and culturally. Istanbul's population is estimated to be between 12 and 19 million people, making it also one of the largest cities in Europe and the world. Wink Travel Guides introduce you to the best world travel destinations, in a clear and concise way, illustrated by photos. Discover the best of Istanbul with the quintessential guide to this unique, continent-straddling city. Whether you want to gaze at the ancient mosaics of Haghia Sophia, get lost amidst the Grand Bazaar's traditional stalls or sail along the spectacular Bosphorus Strait, Rough Guides' expert, on-the-ground knowledge and trademark blend of humour, insight and practical advice will show you how to get the most out of your trip. This full-colour ebook includes stunning photography, handpicked itineraries and easy-to-use maps, and will guide you to the very best of Istanbul's rooftop restaurants, meyhanes and old city hideaways with something to suit every budget. Slim, reliable and easy to use, The Pocket Rough Guide to Istanbul will be your indispensable travel companion. DK Eyewitness Travel Guide: Turkey will lead you straight to the best attractions this beautiful part of the world has to offer. Visit Hagia Sophia, experience the hot springs of Pamukkale, and explore the country region-by-region — from local festivals and markets to day trips around the countryside. Discover DK Eyewitness Travel Guide: Turkey. With hundreds of full-color photographs, hand-drawn illustrations, and custom maps that illuminate every page, DK Eyewitness Travel Guide: Turkey truly shows you this country as no one else can.